Pamela L. Olson, CPA, is our Chief Financial Officer and, as such, she is responsible for overseeing the portfolio financial statement preparation and accounting operations. Ms. Olson is located in our Bend, Oregon office where she effectively telecommutes with our clients and the GSMC team. 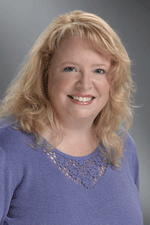 Ms. Olson specializes in real estate issues with an emphasis on partnership accounting. This experience allows her to coordinate and prepare all of the audit and tax reporting, as well as the accounting set up of new entities. Prior to joining GS Management Company in 1993, Ms. Olson was a Senior Tax Accountant at Arthur Andersen & Company. Ms. Olson received her degree in Business Economics with an emphasis in Accounting from the University of California, Santa Barbara. GS Management Company has earned the recognition of being listed as one of the top 25 Property Management Companies in Silicon Valley/San Jose Business Journal, the East Bay Business Journal and Bay Area Business Times every year since 2000.